I’m pretty certain I’m a cat. As some of you may know, I’ve talked about being an Introvert in the past. I find articles on introversion to be fascinating and educational and have actually learned some tricks for dealing with the American work scene and how it’s expected that everyone wants to be in a “team” setting (we don’t… just let us do what we need to do… alone). I also learn a lot about myself while pouring over these articles, like how to deal with what I feel when I need to get away and all the way up to helping others deal with me and my needs. So this morning on the Book of Faces, Elephant Journal shared an article “How to Care for Introverts in 12 Easy Steps” and the writer, Andrea Balt, uses the analogy of cat and dog people. Not the traditional “would you rather have a cat or a dog”, but ARE you a cat or a dog? I like sleeping, a lot. I have my favorite places to sit, usually in the middle of stacks of paperwork, books and magazines. I do not like to be bothered when I’m sleeping… or awake, even if it looks like I’m not busy – I have important things I’m thinking about. When I want attention, I want it immediately and I will demand it. If I don’t want your attention, you will know it very quickly. I have supersonic hearing… Was that a mouse? I spend a lot of time on grooming. If I had a large appliance box in the house, I would spend time in it… sadly I do not. I’m fickle. That toy I played with for hours or person whose lap I sat in the whole afternoon yesterday…. yeah, I’m over that today. I get into places I know I shouldn’t be, like standing on the kitchen counter… do you know where my feet have been? So, I’m a cat. It all makes sense now. Also, I’ve started reading “Quiet: The Power of Introverts in a World That Can’t Stop Talking” by Susan Cain. I better get cracking… that’s four books I have going now! This entry was posted in Blogging, Musings, Random Thoughts and tagged Andrea Balt, Andrea Balt writer, author, Elephant Journal, ElephantJournal.com, How to care for Introverts in 12 easy steps, Introverts, Quiet the power of introverts in a world that can't stop talking, reasons I am a cat, susan cain, writer susan cain. Bookmark the permalink. 8 Responses to I’m pretty certain I’m a cat. % one way or the other, we both tend to forget that the other has their quirks. I definitely need warning if my world will be rocked. I also need that 15 minute heads up when something needs to happen. I think people associate a lot of introverts with being unfriendly, which is far from the case. I will actually talk to anyone and everyone, but I don’t initiate the conversation 99.95% of the time. 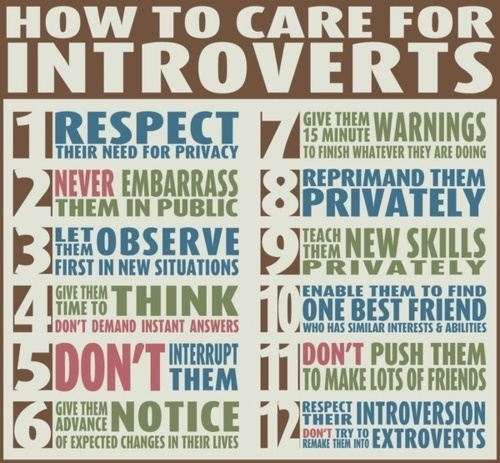 I do, however, often feel that people I know who are extroverts are too brash and/bold when interacting with strangers. But, that’s because I know how off-putting that would be to me – others might not think anything of it. I am a introverted dog only because I am usually covered in mud from one of my travels. I like this – can almost hear you purring from hear. Sorry about that little unexpected event a couple of weeks ago – next time, 15 minutes notice!